This is important because we do it correctly! 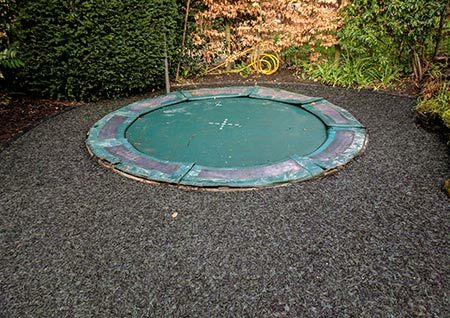 Although the surface is extremely resilient, with the majority of applications we prefer to install a sub base. 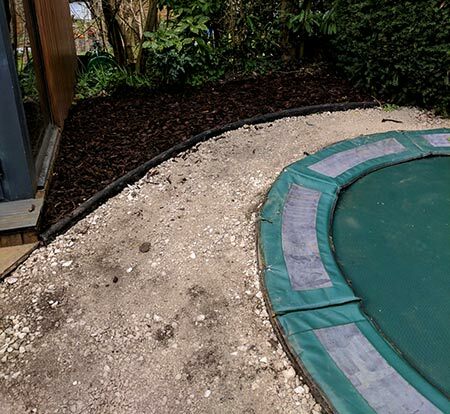 We strongly believe the inclusion of this provides a longer lasting surface by eliminating voids and irregularities beneath ground. 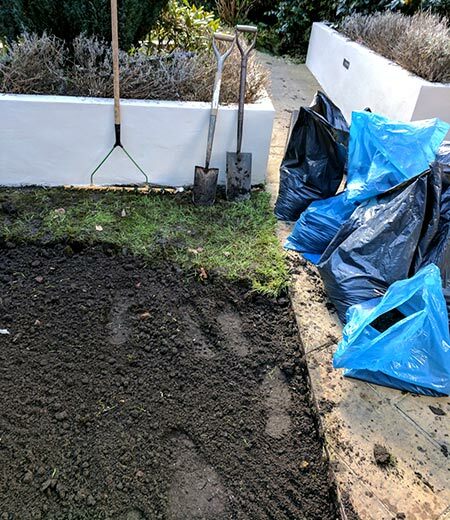 We perform this by excavating the topsoil/grass from the area importing MOT Type 1 stone and mechanically compacting it to provide a flat level surface. 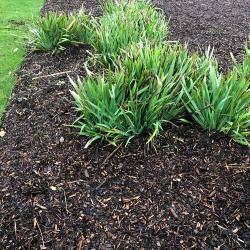 We always remove all waste and spoil from site! 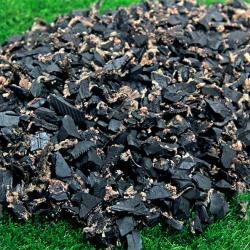 What is usually involved with the application of a Bonded Rubber safety surface? 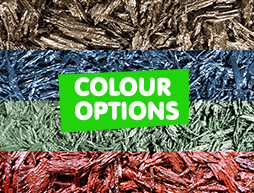 Quite a lot, but our team perform these installations regularly so they know what they are doing. Once initial observations have been considered e.g.  drainage, product selection and access etc. we then look at the process outlined below. Can I have a site visit? Of course, we will be delighted to visit your premises. 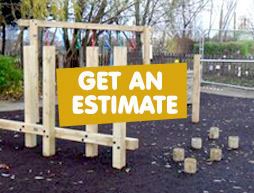 We will be only too pleased to measure the area for you along with offering ideas and advice. Thereafter, we will forward a formal quotation to you which will fully explain the scope of works we will be offering. 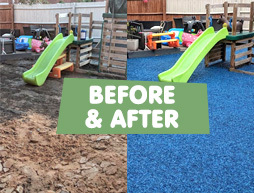 This surface is ready for play 24 hours after it is installed, providing a rigid but soft play surface which cannot be kicked around, therefore ensuring an even depth of play surfacing consistently over the entire area. 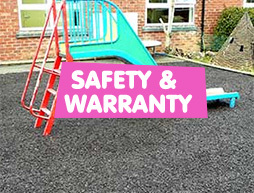 One of the wonderful benefits of Bouncy Bond is that it is so easy to look after. 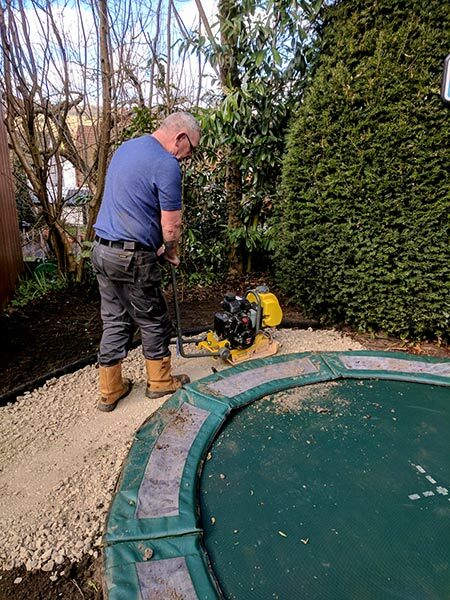 Every 4-6 weeks it is good practice to give the surface a ‘once over’ with a leaf blower, this will remove any loose debris and help to keep it in great condition. For more stubborn spills or stains, use soapy water with a medium/soft brush to gently remove. Please download a copy of the maintenance guide for your records. 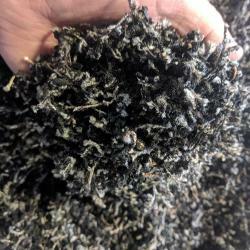 Photos showing the installation process. 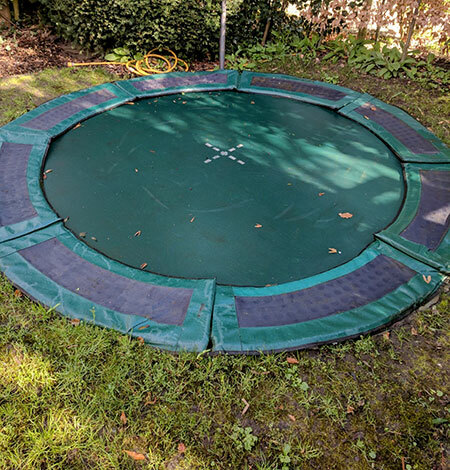 A lovely trampoline for the children, however a clean and safe play surface was required by our Customer. 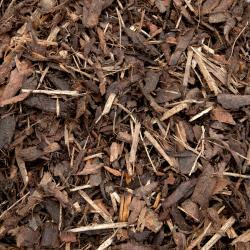 We never apply Bouncy Bond directly onto grass or soil, we always ensure the grass and sufficient soil are moved. 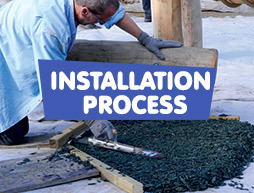 On soft ground, MOT Type 1 stone is always utilised, thereafter it is mechanically compacted. 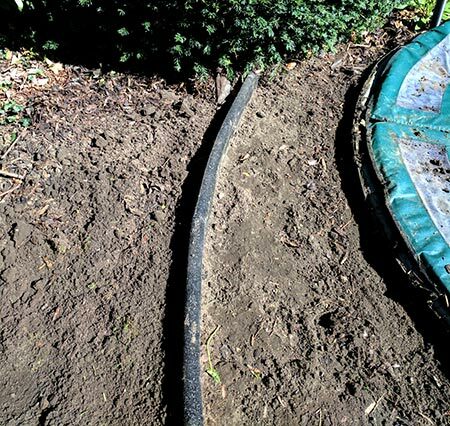 The inclusion of the correct sub-base ensure voids don’t occur under the final surface which can result in an uneven surface and even rips and tears. 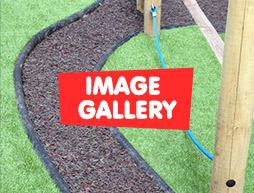 The Bouncy Bond has been applied; Providing a cost effective, low maintenance and very safe play surface.